I am only curious cause the thought crosses my mind to do that to my 6.
over $125,000 invested !! i'd be too embarrased to admit that as a selling point. This car was in Excellence several years ago and was a race car and made back into a street car. All the work was done by very good shops and I imagine would be a good deal for what you'd pay now. It would be a wild street ride as I don't know of many race organizations that it would be competitive in except POC? That is one bad a** six! how'd he get the induction system to fit without cutting the rear firewall? I would like to know more about the engine install, so if anyone buys this or knows where the car goes please get some info. Wonder what the reserve is set at. $50k?? The price on it at the Carlsen swap meet was $48K. It's a beautiful car. that car looks amazing, and for $48k it's probably a great bargain. like the ad says, $35k just for the engine alone! I can't see a 914 reaching that price on ebay though. didn't someone else say that car has been for sale for years now? wonder why the owner dumped that no expense spared motor in there if it was up for sale. that makes no sense to me. He was at the PCA club race this weekend with 45k on it. do you know why he just put so much $ in the new motor only to sell it? He was sold a crappy 3.6 engine a few years back and decided to "step up".. well when you make the call to JWE you had better have deep pockets. 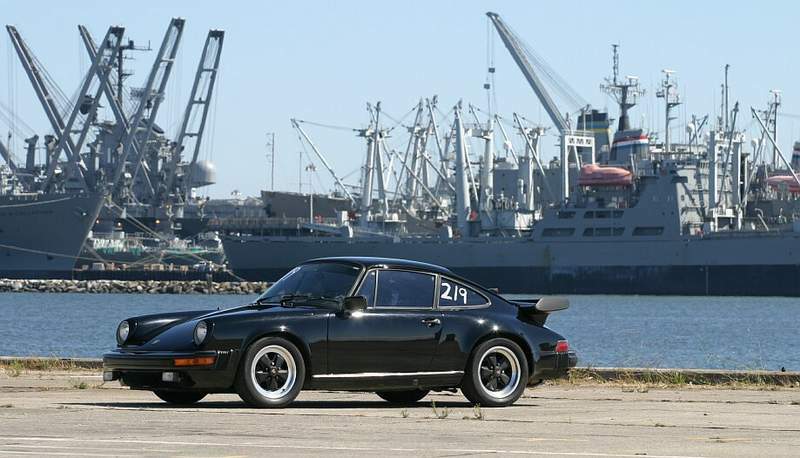 He shows it at the Palo Alto Concourse D'elegance and several Porsche club concourse events. He doesnt do any of the local 914 gatherings. Nice guy with some serious cash in a 914.
he's got 10 grand less into that car than i paid for a 1900+ sq ft house on 1 acre. serious cash is putting it mildly. drive through Palo Alto/Atherton/Menlo Park area some time and see what they get for "shacks" with one car garages and 1 bathroom (1mil) to start. People buy something here and scrape it. Its not the house they want... its the land. I watched a bidding war on a burned house between 9 different couples. It went for 1.6mil in Palo Alto. i have sort of driven in the palo alto/ menlo park one time. coming back from santa cruz to san jose, up the coast, turned east, crossed the redwood highway( i think) at a cross road were there was a bar w/ a ton of bikes in the lot. the road down to the bay was as curvy as i've ever seen, rented miata. not much time to look at expensive real estate. sounds like you crossed over 35 and saw alices (the place with the bikes). once in a while you can see some hot cars there too. those roads are great, but not until you've seen the road heading out to stinson beach in marin. It sounds like this car fits the real estate analogy well. You never want to have more invested in a home than you can reasonably get back in sale price. And... never ever have the most expensive home in the neighborhood. Apparently, its hard to sell the most expensive 914 too! In that case, all cars are crappy investments. Which is what I've said for years. With a few fairly specific exceptions, you will never ever ever get more out of a car than you have put into it. Most especially if you rate your time at anything over about 50 cents per hour. 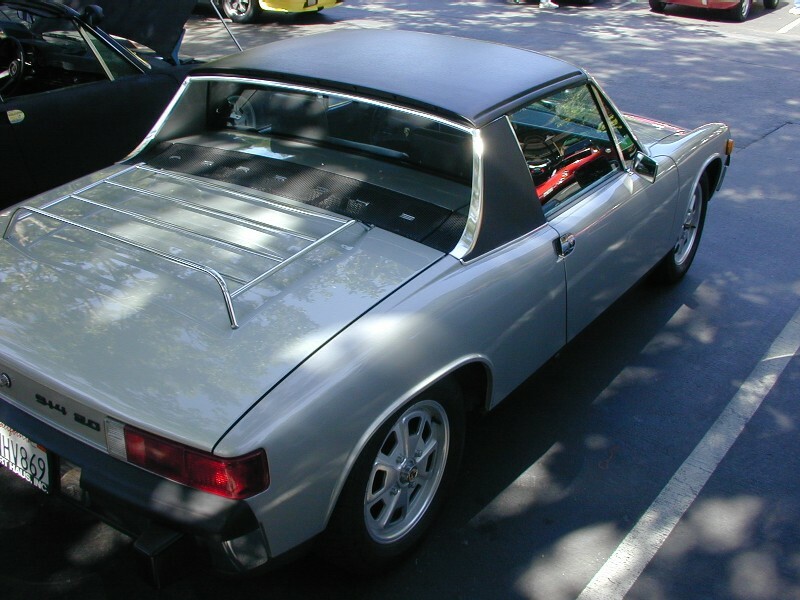 Hey, if I pour another $5K into my 914, I'll have thrown (probably) $15K into a 914 that will be worth $6K... Maybe. If he spent $125k building this car, and he might get to sell it someday for $40k, did he get $85,000 worth of enjoyment out of it?? I had $7500 into my last 914, and sold it for $5500. I DEFINITELY got $2,000 worth of fun out of it over the two years I had it. In housing investments, its the same. You have to place a value on the shelter you got for the duration as well. You are more likely to see a fair return if your home is NOT the most expensive on the block. Of course, the $85k the owner might lose on selling that car is all relative. He might not care if he also has $500k equity in a $1M Bay area home.